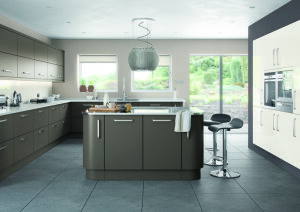 2016 is steaming by at record-pace and has already brought with it a wide variety of popular kitchen trends. Some are brand new, some are twists on old classics and some are the same timeless concepts as they have always been. Is Grey the New White? It certainly appears to be in many design circles, where classic white cabinets are slowly but surely being usurped by elegant, soft greys. This particular trend has the potential to look stunning when combined with warm, natural wooden tones (or real wood) and metallic fixtures and fittings. A perfect match for mahogany. More designers and homeowners alike are beginning to show growing priority to convenience and functionality above almost everything else. From easy-close cupboards to clever storage solutions and furniture that pulls double-duty, manufactures all over the world are responding to this strong trend with a huge arsenal of incredible products. 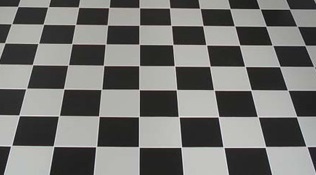 From chessboard floors to contrasting worktops and so much more besides, the classic black and white kitchen colour theme is well and truly back. Though to be honest, it’s the kind of timeless trend that never went anywhere in the first place – easy to pull off, affordable and guaranteed to continue looking incredible for the long-term. There’s often nothing more stylish and certainly nothing more high-performance than the kinds of appliances and work surfaces you’d usually expect to find in a commercial kitchen. A huge trend for luxury kitchens in 2016, oversized metallic refrigerators, large metallic cooker hoods and commercial range cookers are very much the in thing. They might be costly, but they’re built to last like nothing else out there. Last but not least, lighting has the potential to be one of the most effective and important of all features in the kitchen – the fact that it serves a practical purpose is purely an added bonus! Now more than ever, designers are focusing on the installation of task-lighting and the kind of feature-lighting that bathes different areas of the room in different types and strengths of light. Getting creative with the lighting really can make all the difference in the world.